The party may be over for Amazon. Amazon's (AMZN) stock is tanking after the company posted a lighter profit than Wall Street had hoped for, denting a company that has seemed liked it could do no wrong with investors in recent months. Amazon posted a profit of $252 million for the third quarter, or $0.52 a share, falling short of consensus estimates for earnings of $0.78 per share. Its guidance for earnings in the upcoming quarter also came in below estimates. That was enough to send Amazon stock down as much as 7% in after hours trading Thursday. It's a strong about face for the company. Amazon stock has been on fire in recent months with multiple analysts raising their price targets to $1,000 a share. It started the year below $700 a share. It may also be a reminder that investors always want more. For years, Amazon was rarely profitable for long. Now it has been profitable for six straight quarters -- but apparently not profitable enough. Jeff Bezos, Amazon's founder and CEO, has traditionally focused on reinvesting all (or almost all) profits back into big bets like fulfillment centers, hardware, video streaming and cloud computing. When Amazon chooses to turn the knobs slightly down on how much it reinvests and posts a slight profit, investors cheer. And when it (often) chooses to go into the red, all hell breaks loose. On a conference call with analysts after the earnings release, Amazon CFO Brian Olsavsky said there was a "step up in investment," primarily in digital content and fulfillment centers as well as Echo and Amazon Web Services. Amazon's investment in video content and related marketing "nearly doubled" compared to the same period a year earlier, according to Olsavsky. The company is also adding 26 fulfillment centers this year, compared to 14 last year. 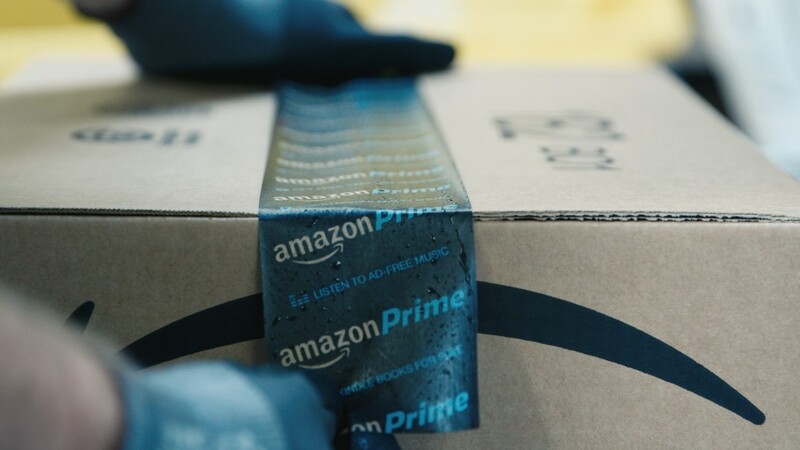 Amazon's consistent profitability stunning when you consider the costly efforts Amazon is undertaking: launching more TV shows, building hardware, investing in brick-and-mortar stores and expanding its shipping operations with planes. Investors have been bullish on Amazon's position in the growing e-commerce market. There is also optimism about its hardware renaissance with Echo and its fast-growing cloud business, Amazon Web Services. Bezos is fond of talking about the "three pillars" of the company's business. Those include its e-commerce marketplace, the Prime subscription option and Amazon Web Services. During an appearance at the Economic Club of New York on Thursday, Bezos said either the Echo or its TV division "could become a fourth pillar on its own."